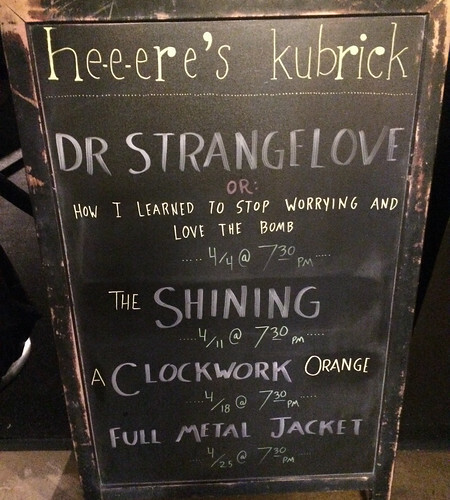 The Angelika Film Centre (near Union Market) will feature their Stanley Kubrick film every Wednesday in April! Sounds like you need to stop worrying and learn to love their Heeere’s Kubrick series. Showtimes for all films is 7:30pm. And as a bonus, there is a cool homage to The Shining in new Spielberg movie, Ready Player One.